OCCUPATION review and Temuera Morrison interview!!! Hey folks! 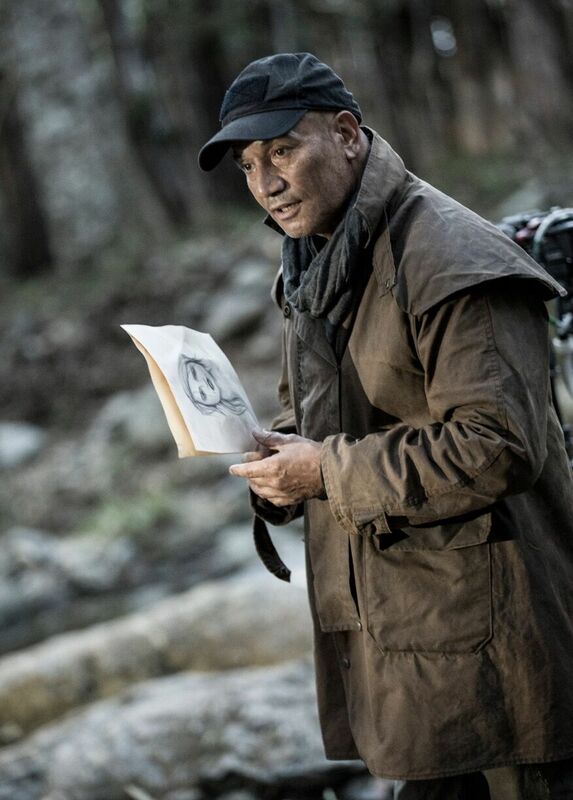 I got a chance to watch an Australian Sci-Fi film OCCUPATION and I was lucky enough to speak to one of the primary actors in it, Temuera Morrison (Jango Fett in STAR WARS: ATTACK OF THE CLONES, and Arthur’s father in the upcoming AQUAMAN). The interview was lively, he's a great personality... and yes, I rolled the dice on a Boba Fett question... but first, the review! OCCUPATION is written and directed by Luke Sparke (RED BILLABONG). It mixes RED DAWN, DISTRICT 9 and the “V” miniseries into a busy-but-fun cocktail of how humanity would survive an alien occupation in Australia. Imagine the grassroots rebellion of RED DAWN with an Aussie slant, crossed with the occupation horror of the “V” miniseries, and perhaps a bit of the politics and group dynamics of “The Walking Dead”, too… and, just a light hint of DISTRICT 9… and then you’ve got an idea of what OCCUPATION is like. OCCUPATION begins in a small country town in Australia. The Bartlett family is moving there from New Zealand; Peter Bartlett (Temuera Morrison,) is trying to get away from the violence of city life and to keep his family safe. His daughter Bella (Izzy Stevens) is a bit of a hellraiser who seems to quickly find the most dangerous thing in miles to touch—usually a boy—and right off the bat, she stumbles haplessly into the town drifter (Zachary Garred), who is shooed off by the local law enforcement. As the family goes into the town’s market just as a rugby game is about to begin, we meet some of the players on that team… including Matt (Dan Ewing, "Home and Away"), the just-past-his-prime veteran and Jackson (Charles Terrier, "Neighbours"), the ambitious young player looking for his big shot. Uniting these two polar opposites are their significant others, the Chambers sisters, Amelia (Stephanie Jacobsen, “Battlestar Galactica: Razor”) and Vanessa (Rhiannon Fish, “Home and Away”), two nurses in the local care center, and their younger brother, Marcus (Trystan Go, "The Family Law"). Midway through the rugby match, there is a massive power outage and strange lights in the distance. The town is unprepared when they are suddenly attacked by hostile extraterrestrial soldiers. 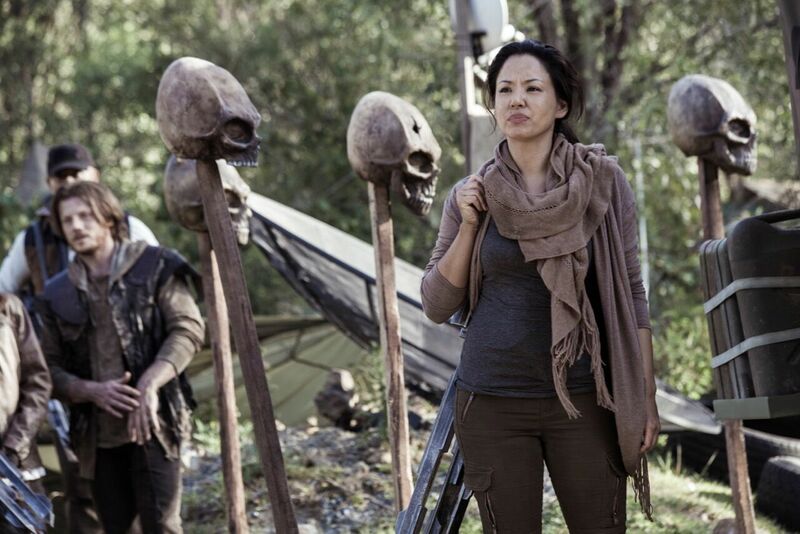 Peter manages to get Bella and grab a few more survivors, but his wife and son are taking by alien soldiers. Over the next few days, we see the survivors forming a small camp and begin to work on how to resist the superior weaponry of the alien invasion. Along the way, as they lose friends and loved ones to the war, they descend more and more into dark violence, as they try to find and free the family members from their alien captors. The aliens themselves are Man In Suit, with very little CGI except for their spaceships. So if you have a problem with Doctor Who latex costumes, this really isn’t the film for you. I found it really refreshing, not having to wince painfully at scenes that were badly rendered in obvious CGI due to budget constraints. The story is a great mash-up of elements, but the concept suffers in a feature film format. The story has so much detail to give and only two hours to give it in. Imagine trying to pack the first three seasons of “The Walking Dead” into a feature film, and you can understand the problem. This should have been a mini-series, or even a series, instead of a film, giving it years to work out the survivor tensions and battles, at the same time they are both hunted and hunting the aliens. Stephanie Jacobsen was another issue for me. I don’t believe it’s a question of acting, so it's likely a matter of the direction or writing… but the character of Amelia was my biggest stumble in the story. It could be a superficiality on my part; this film is very outdoorsy, and if I were trying to ‘type’ Jacobsen, it would not be as someone in flannel in the woods-- she pulls off 'tough resistance fighter' well, but she's a fairly glamorous person, which makes seeing her running around the woods as a freedom fighter a bit... odd. But more than that, Jacobsen’s reactions are very obvious ones—Amelia didn’t get much subtlety in the course of this movie. Her character needed to wrestle with more over time, and instead, had to hit the story beats very quickly (and very broadly) to make the tune play, and the film (which, again, really should have been a series) suffered for it. And the resolution of the story is also a bit meh. It feels a bit like the end of STARSHIP TROOPERS, but in an almost nonsensical way. It reached for something that I’m not certain makes good sense, a concept of peace that is kind of false and desperate. It sets up a sequel very well… but honestly, it should be thinking of a series, to give these great actors the time they need to perform. Speaking with the same soft growl as Commander Cody in STAR WARS EPISODE III: REVENGE OF THE SITH, I found Morrison to ultimately be a kind person who doesn’t seem bothered by the eccentricities of others, and really old-school Hollywood… a calming but strong personality—warrior/poet… someone who didn’t overthink his work, or over-talk it (he had me for that)… someone whom I imagine would have gotten along well with John Wayne or Toshiro Mifune. Someone who I found to be very much in love with his craft from a perspective most fans will enjoy. Temuera Morrison is very plainspoken at times, but wickedly sarcastic when he wants to be, too. The way he teased me about the Boba Fett question will likely remain a high point in my time as a writer for AICN… can’t say what that meant to me (or at least, not without being accused of being Harry, repeatedly!). TM: Hey (Roy), how you doing? PR: Good, thank you for speaking with me! TM: Thanks for your time. PR: What attracted you to OCCUPATION? TM: The weather. OCCUPATION was being filmed on the Gold Coast of Australia, so you have a wonderful climate out there, very similar to the islands where I grew up… and a very young director, a young Australian director… plus a very young production company? And, I took a liking to them. They met me on another sci-fi movie, called THE OSIRIS CHILD, that was another Australian sci-fi movie, so I thought I’d just try my hand at another sci-fi movie. PR: Right, I need to find it! I’m interested in your approach to acting… how did you find the character of Peter Bartlett—how did you inhabit that character... I mean, what was your process like? Was there any preparation, or did you just go, “You know what, I know this guy—I’m just gonna go for him”? PR: That makes loads of sense, given what happens! TM: ...but then got into a bit of trouble, ended up inside—ended up in prison… his wife, or girlfriend, hanging around… so he decides when he gets out of prison, he’s just going to head North, get away from it all with his family. PR: I love Peter's story path. He starts out as this very hard man trying to be soft and descends deeper into violence with the alien threat, and only kind of gets out of that at the end when his family finally comes back into focus. PR: You’ve done lots of acting with CGI elements, in sci-fi films… for you, what's the biggest challenge of acting in a special fx heavy film, and how did it compare with the acting in OCCUPATION, which was mostly filmed in the great outdoors? TM: Yeah! We hardly had any studio, we were actually on location quite a lot… so generally, yes, I’ve done the inside studio stuff, looking at all the blue and the green screens, and uh… you get good at acting to masking tape… the normally put a tape on one of those lighting poles… for our eye-lines… so I have no problem performing an emotion to masking tape. PR: What do you enjoy most about acting, in general—what’s your favorite bit about it? TM: You know, it takes on its own life force. You become a family… and you go on a little magic carpet ride for this project… so… yeah, I enjoy… being in front of a camera. Back in the old days, you could hear the camera… it used to make a noise as the film flows through it… and, that’s my home—that’s where I decided to hang out. Some people like the other side of the camera… production… stunt work… I dunno, I just like it. That’s where I feel I’m at home. PR: Who are your biggest influences as an actor, and why? TM: I’d love to do a Western! I can ride a horse great! PR: I gotta think that when Westerns come back in vogue again, Australia and New Zealand have the kind of… sense of frontier, needed for that…. TM: Some of those scenes in THE DEER HUNTER are still… so powerful… in fact, if I do need to get inspired, I watch old movies… when they used real people… real extras! Peter O’Toole, LAWRENCE OF ARABIA… what a performance that was! People like Anthony Quinn. There’s just so many... Omar Sharif, I liked… because… he was brown. There weren’t many brown actors back then, so I loved Omar Sharif… I think he's Persian.... so, I like the old-school guys. TM: If they need me, I’m there. And I love Disney. I did MOANA for them. I already know they have my number, I did MOANA for them! PR: There’s been a lot of backlash from Star Wars fans this past year. What are your thoughts on dealing with fan negativity as a performer? TM: I think they’ve just saturated the market… there’s just too many. I know they probably have to pay George back, but they could have spread them out a little… and the worst thing was, when the helmet came off that stormtrooper… he didn’t look like me! TM: That’s where they blew it! I swear to God! Thanks to Temuera for being such a great interview subject. One hilarious in-joke of the interview was his great concern with grandfather roles, as his character spends a lot of time in OCCUPATION threatening the guy most likely to cause him to be a grandfather. If you ever have an opportunity to buy this man a drink as a fan, TAKE IT. You will not regret it. He's a great storyteller and as keen a movie fan as most I know. 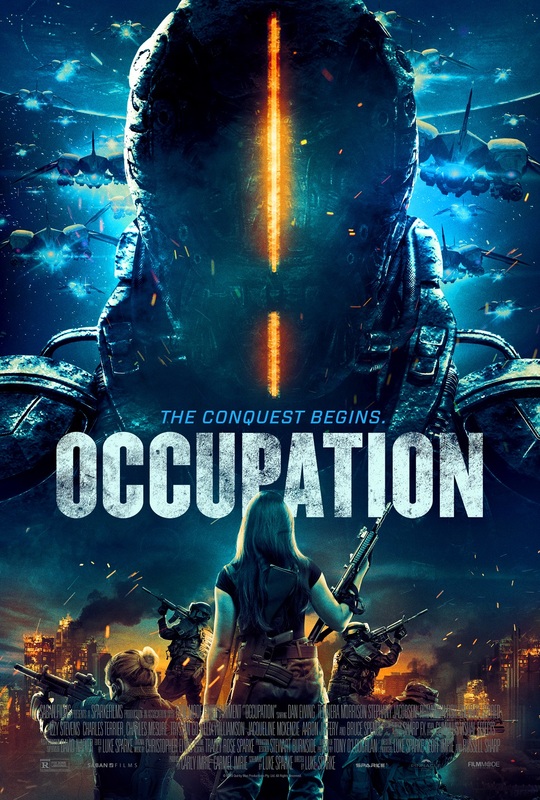 OCCUPATION was released in Theaters, on VOD and Digital HD on July 20th.